COLUMBUS, O.H. -- Jon Kemmer picked up three of the Red Wings six hits Monday in a 2-1 loss to the Columbus Clippers in front of over 11,000 fans at Huntington Park. Rochester (53-65) grabbed the early 1-0 lead in the second inning when Juan Graterol lifted a sacrifice fly to score Kemmer. Columbus tied the game at one in the fifth and moved ahead in the sixth of Wings starter Chase De Jong. De Jong (0-2) - making his third start with Rochester since being acquired from Seattle for Zach Duke - went 5.2 innings, allowing both runs on five hits. He walked two and struck out five. Indians pitcher Josh Tomlin made the rehab start for Columbus allowing just one run over four innings. 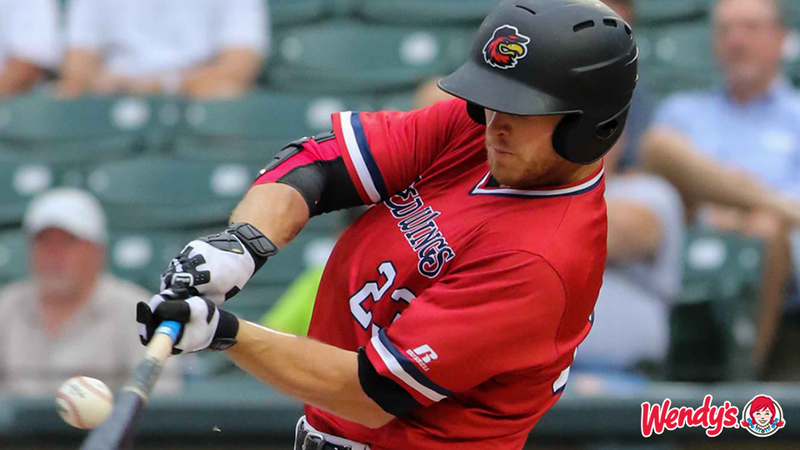 The Wings got the tying run to third base with two outs in the ninth inning, but Andy Wilkins struck out to end the game. Nick Anderson relieved De Jong and kept the Red Wings in the game tossing 2.1 scoreless innings. The Wings and Clippers play Game Two of the three-game series Tuesday night. Rochester sends lefty Stephen Gonsalves (8-3, 3.15) to the mound opposite southpaw Ryan Merritt (1-1, 5.05).